Every year we patiently wait for Vogue Magazine's Met Gala. They call it the Oscars of fashion, and it is for a few reasons. The main reason would be because it is ALL about the red carpet. 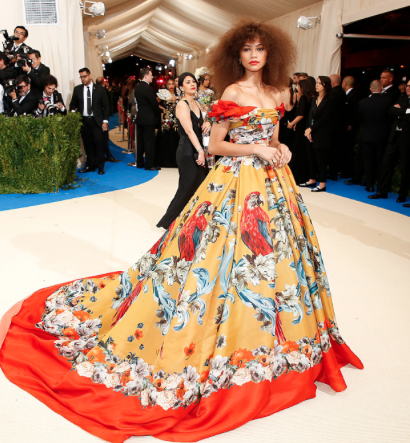 But the true reason for the Gala is to raise money for Metropolitan Museum of Art's Costume Institute in New York City. 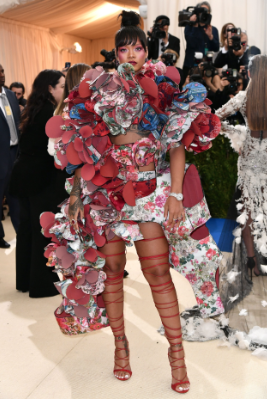 Each year it honors a specific Designer who has changed the history of fashion and this year was the Legendary Rei Kawakubo of Comme des Garcons with the theme of Avant Garde. Here are our faves (and not so faves) of the evening...enjoy the brain break! Lily Collins in Giambattista Valli- ALL KINDS OF YES! Rob and Mariel you win! Congrats you guys on dressing the best of the night! This ladies and gentleman is Avant Garde done right! Kerry Washington in Michael Kors- She can pull anything off...anything except for this cyber raggedy anne dress. Diane Krueger in Prada- DIANE! Where are you? You are our muse...our fashion crush! This is so bland and safe...next year? Claire Daines in Monse- NO. Where is her BF to tell her this?